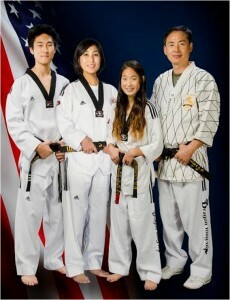 Founded in 1999, Dragon Yong-in Martial Arts specializes in quality Tae Kwon Do instruction. We offer a vast array of programs for young children, teenagers, and even adults. Whether you are interested in classes for someone who is only two and a half or someone in their 50’s, we have a program that will meet your needs. For teenagers and adults, we even offer a Hap Ki Do program – an art known for its grappling, submission holds, and other self-defense techniques. However, we also specialize in exciting after school care for kindergarten through middle school. We have separate study rooms, supervised homework times, lots of fun activities, and more! Day camps are also provided for snow days, teacher work days, some student holidays, winter break, and spring break. Also, ask us about our exciting summer camp program and our gymnastics program! Give us a call sometime or visit any one of our six(6) convenient locations. We would love to hear from you!